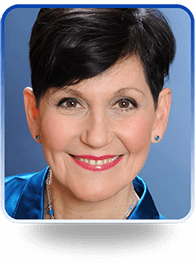 “Anytime you are self-sabotaging in some way,” says Lynne McTaggart, my guest today on the Radiant Body Summit, “write it down. Become aware of what you’re thinking.” As many of my listeners know, your thoughts can influence and modify your reality. It has been scientifically proven that our thoughts can influence our bodies, and if we want to heal from a disease or a trauma, setting the right intention can be more effective than taking a pill and hoping it works. “Intention is a practice, and it takes practice,” Lynne says. Lynne has published “What Doctors Don’t Tell You” as a newsletter for 25 years, and it is now a newsstand magazine in 10 countries. Her publication profiles the healing techniques the body has always innately been able to use, and explores what works and doesn’t work in both conventional and alternative medicine. I love what she’s doing, because it helps people make more informed choices, and empowers the patient to take charge of their own health, in a world dominated by drug-based medicine. The pharmaceutical industry’s paradigm says that there is something outside of yourself that can heal you, and Lynne’s work in The Intention Experiment provides evidence for the opposite perspective, that there is something inside yourself that can heal you, too. “The body is not just a machine that gets broken, and needs a pill to fix it,” she says, but our modern form of diagnostically-based medicine encourages doctors to provide these kinds of solutions. If you’ve never heard of The intention Experiment, it is the title of one of Lynne’s books, and a fascinating series of case studies in groups of people using their thoughts to make changes in the world – from reducing violence in a specific geographical area, to raising grade point averages, to healing a single person who is sick. We shared some of our favorite stories of group intention and miracle healing during the interview, and Lynne also described the mechanics of intuition, and how we can cultivate our own inner faculties. Everyone is psychic, she says, and everyone has the ability to pick up information from one another. Scientists know that mammals of all sorts share emotions in a group – play, and rage, and so on. Another shared emotional state is ‘seeking.’ We have a need to hunt, she says, and the anticipation of searching for something – whether it is hunting in a flea market, or a mystery novel, or a clothing store – cultivates our intuition, and with practice, it can grow. When we are seeking, the rational and intuitive parts of the brain speak more clearly to each other. This helps you to stay in the present moment, which is a foundation of meditation, healing, and relieving stress. During the interview, Lynne brought up a study done on a series of sports teams. Instead of doing affirmations for themselves, one group was encourages to start doing affirmations for the team. When people used ‘we’ as an affirmation, not only did the team do better, but the individuals did better, as well. “Just thinking ‘we’ makes ‘I’ do better,” she said. 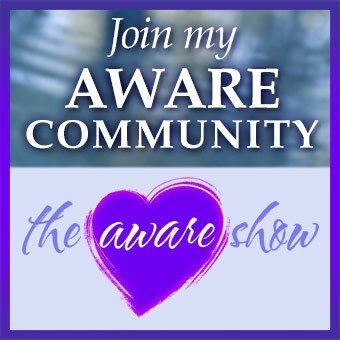 Lynne has created online courses that help people live with more intention and increase their psychic abilities, which she has packaged together at a special price for Aware Show listeners. Watch the interview replay below, and set your own intention for a better life, today.